Heidi immediately told me that this was my own fault as I had not been taking my vitamins or vitamis as they say in America and the bollocking continued as I was told that the reason I felt like this was the fact that I had dared to drive with the window down while I enjoyed a cigar. I was going to tell her that the tiny crack the window had been down was compensated and then some by the heater that Heidi had set at “Amazon.” However, considering that I felt as bad as I did I just grunted and headed for bed. It is only now 29 hours later that I have found the energy to leave my bed and write a few words to all my friends in blog land. Anyway, I hope you all had a wonderful Christmas and please excuse my outpouring of self-pity but I really did have a bad cold or flu or whatever it’s called these days. Heidi looked after me but decided to sleep in one of the spare bedrooms incase I gave her bird flu or SARS or the plague or something. Up until the flu it had been a great Christmas spent with Mum and Dad and my sister and family who had come home from Hong Kong. It was especially nice to see my niece and nephew Luke and Isabel and my goodness how fantastic it is to be a kid in these times because the toys are amazing. They got Playstations and remote cars and dolls that talk and robot dogs and transvestites that apparently turn from cars and trucks into cyborgs. Whatever happened to train sets and Barbie and Ken? ………………talking of which here is a bit of trivia for you. In Amsterdam there is a brilliant Chinese Restaurant called Dynasty, I think I mentioned something about this before………………Anyway, right across the road is a Ken and Barbie store with a difference…………..there is no Barbie…………the store is called Billy and Ken. Basically, it’s all the same things that Barbie has, the houses, cars, dresses, ballet shows etc and they are all enjoyed by Billy and Ken………….the happy couple……………………..only in Amsterdam! So, the radio show went so well and I have to say it was one of the most satisfying shows I have ever done. The strange thing is that unlike a stage show there is no feedback from the audience but reports are that the dedication section was very appreciated and I ended up reading out over 100 letters. The only trouble I had was keeping time and unfortunately the show ran 12 minutes over …………….oops. I want to say hello to all the folks at Southend Hospital who I know are new readers to the blog and especially to Dr. Basu who has been our family doctor for many years…………thanks for everything Doc. It was a real honour to do the show and there were a few times when I had to wipe back the odd tear as some of the dedications were so very touching especially those from and to the children. I have offered my services when I am home next time and I hope they will give me a chance to repeat something that made my Christmas so special. Naturally, after Christmas I am starting to think about the Bloggers Cruise which is now just a few weeks away. I see from the comments that some of you have been asking for me to confirm our schedule for the next few months so here it is as requested. 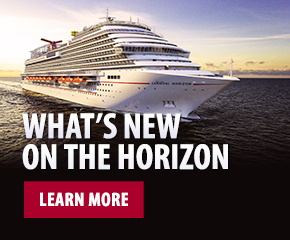 After this is preparation for the Carnival Splendor and of course from January 12 there will be daily blogs…………….yep…………we go back to daily blogs…………….with all the news, interviews and guest comments you can handle. Hope that sounds good …………… Oh and yes, once back onboard I will answer every comment on a daily basis as before, something I have not been able to do here on vacation. I really wanted to be at embarkation to welcome all the bloggers to the ship but I doubt that will be possible so the first time we meet will be directly after boat drill when we have a cocktail party for all the bloggers in the main lounge. It will be such an honour to shake hands with each and every one of you and I am sure Big Ed will be on hand to lend me………ummm…………a hand in his role as ATTCD. By the end of next week I hope to unveil the sailing and date for the next Bloggers Cruise in 2009 so get ready to book for that. After Christmas we also start looking ahead to the New Year and more about that later. However I want to also to have you listen to a great chap who will also take a look back and a look forward. The look back will be at the astonishing help and assistance Carnival Corporation has given to the island of Cozumel and at the new “Must See” port in the Caribbean…………Grand Turk. 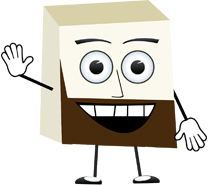 So, rather than me waffling on lets say hello to Mr. Giora Israel who took the time a few days ago to answer some questions exclusively for this blog thingy. 1. Giora. You have had a very interesting career so far. Can you tell us all about it and what your current position involves? I have been involved with developments in the Caribbean for the last 25 years and the past 15 years at Carnival Corporation. As part of my responsibilities at Carnival, as vice president strategic planning and port development, I am entrusted with looking at new cruise destinations and enhancing existing ones. As more loyal Carnival cruisers have returned again and again, our challenge shifted from offering familiar cruise destinations such as St. Thomas, Cozumel and Nassau, to enhancing these ports while at the same time expanding our offerings so that Carnival can provide more cruise choices to more destinations — many of them new. 2. 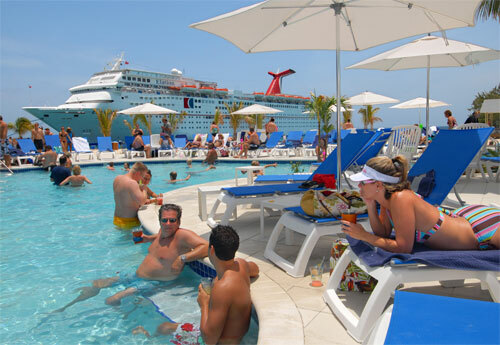 You have been responsible for the development of one of the most popular ports in the Caribbean, Cozumel. Can you tell us what work Carnival Corporation has undertaken there and what current work is underway in the repairs to the pier facilities following the hurricane? As you recall Puerta Maya (Cozumel) which is Carnival Cruise Lines most popular destination by far, was destroyed by Hurricane Wilma in 2005. The pier that was built in the late 1980s by a local construction company — prior to our involvement in Cozumel — and was completely destroyed by the hurricane. More than 85,000 metric tons of debris, including mangled concrete and steel, had to be removed from the water before reconstruction of the pier could begin. The construction of the new pier – built to withstand a category 5 hurricane — started on June 18, 2007. The port and new excursion pier, as well as all its passenger facilities on land, will be ready by November 1, 2008. 3. What about poor old Costa Maya which was devastated this year. Any updates that you can provide to us? John, as your readers know and as you’ve mentioned in your blog, Costa Maya experienced tremendous devastation as a result of a Hurricane Dean earlier this year. With its magnificent beaches and excellent shore excursion opportunities, Costa Maya has been a very popular destination for Carnival Corporation & plc ships for many years and we know that the folks that run the port are very hard at work rebuilding the facilities so that our guests can return to the destination and enjoy all that Costa Maya has to offer. 4. Now, on to Grand Turk. This has become one of the most popular ports of call anywhere and reviews of the port are outstanding. Why has it taken so long for this beautiful port to become part of our destination package and what investments has Carnival undertaken to make sure this port is so successful? The island of Grand Turk, which is part of a group of islands called Turks & Caicos Islands, a British colony in the southeast part of the Bahamas, is a small island consisting of 8.5 square miles. It is the smallest island where Carnival has a regular port of call (Half Moon Cay is smaller and Carnival also calls there, but it is a private island owned by Carnival’s sister company Holland America, not a regular port of call). 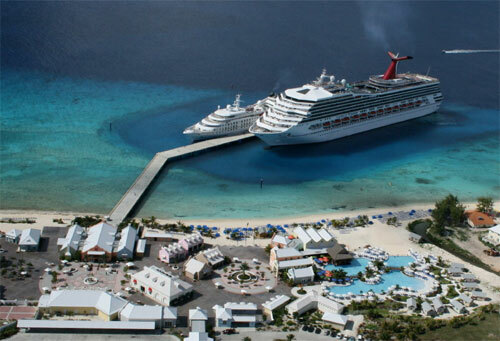 While Grand Turk is small, it is large in what it has to offer. Grand Turk’s entire length is only about seven miles but it is one of the most spectacular snorkeling and diving destinations in the world. While it has pristine beautiful sandy beaches, Grand Turk has much more than just beaches and sea, however. 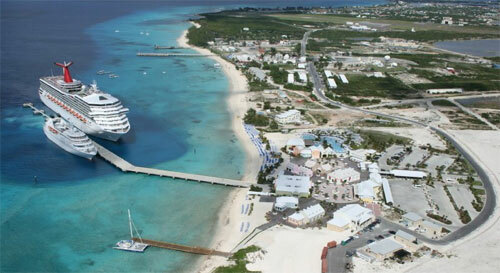 Grand Turk is the capital of the Turks & Caicos and for hundreds of years was an important center for commerce. Its main export, all the way to the 1960s was to supply salt to the British Empire. Until today, big patches of the island are still abandoned Salinas where the salt operation existed. A recently opened exhibit tells this illustrious story of the salt industry when salt was considered as valuable as gold (remember the word salary comes from the Latin word for “salt” and Roman soldiers used to be paid with salt. The importance of salt lies not at all in its ability to flavor food but rather in its use in preserving food prior to the invention of refrigeration). The extensive salt commerce led to the development of housing both for commercial purposes and personal use by employees and now plays a part in the historical part of Cockburn Town. Walking down the streets of that district will take you back hundreds of years to the Caribbean that can rarely be seen anywhere else. Yet, Grand Turk has a more recent claim to fame. In the early 1960’s, as part of an agreement between the US and the British government, NASA opened a training and recovery center for the Mercury and later Gemini space programs. It is here in Grand Turk where John Glenn trained to escape the capsule Friendship Seven. The astronaut base and training center were located only a couple of feet from the cruise center’s location. It is here, close to the cruise center, where John Glenn landed after his first orbit and it was there that President Lyndon B. Johnson came to embrace the famous astronaut as one of America’s greatest heroes. 5. What do you like about the port on a personal and tourist level? What would you recommend our cruise ship guests do during their stay? Grand Turk has, despite its small size, offers lots to interesting places to explore, including a beautiful historical lighthouse and hiking trail around it, Her Majesty’s jailhouse fully restored as an exhibit, and the Grand Turk Museum which includes a section about its history as an NASA base. Grand Turk also offers one of the most exciting dune buggy rides, including driving through salt beds – something that you can’t do anywhere else. It offers one of the most spectacular locations in the region for horseback riding and horseback riding in the ocean, and more. It was all of this and more that attracted Carnival to Grand Turk. Without interfering with any of its rich underwater world or above water land, we identified a peaceful and vacant location where we built a state-of-the-art hurricane threshold 5 pier able to accommodate current ships, as well as a 15-acre welcome center that includes 15,000-square-foot retail facility carefully designed to replicate the British and Bermudan influence on the island, including chimneys, using Bermudan color schemes and merging them with local Caribbean touches. If you wonder why chimneys adorn buildings in Grand Turk, it was because of the Bermudan businessmen that came here to harvest “the white gold” – salt. Bermuda, which is located much further north, gets cold in the winter so building chimneys was a natural for them. Bermudans on Grand Turk obviously realized too late that it is never cold in Grand Turk but the chimneys became a signature design of housing there. The Grand Turk Cruise Center also has a nice beach where passengers can get off the pier and embark on one of the 20-plus tours offered on the island. Also featured is Margaritaville, the Caribbean’s largest theme attraction encompassing 17,000 square feet with a large fresh water swimming pool, lounge chairs, umbrellas and fun. Carnival has invested close to US $60 million that includes not only the welcome center and pier but also renovation to local attractions, repaving roads on the island, and providing loans to local entrepreneurs to develop excursions. Remember that this island only has 120 rooms in six hotels! 6. Can you give us an insight into other areas that the Corporation is investing in as ports of call? As I said, we are always looking for new destinations and at the moment our most exciting project is the creation of Mahogany Bay in Roatan. This new cruise port on the beautiful island of Roatan will surely enhance the visit which is already offered by Carnival. The new facility is expected to be ready on October 1, 2009. We are also looking into other locations. As for existing ports, one of the most exciting projects already announced is the expansion of one of the greatest ports in the Caribbean, St. Maarten. The port is planning to increase its berthing capacity allowing all Carnival passengers to disembark into a first-class facility. St. Maarten, a favorite for cruisers in the eastern and southern Caribbean itineraries, is the first port in the region to offer passengers an extensive, affordable water transportation system, making the visit an exciting one. In addition, we are continuously looking into improving the facilities that Carnival’s ships sail from. Those include Long Beach, Calif., designed and built by Carnival, and opened in April 2004, the recently opened state-of-the-art new terminal in Miami, upgrading our facilities in New Orleans and Galveston, among others. What a great interview and it shows Carnival Corporation’s continuing investments in these and many other ports of call. It is easy to forget the impact that the cruise industry has had on these wonderful places and although a few cynical folks may say that that cruise ships have “spoiled” some of them there is no doubt that thanks to Carnival Corporation and others who have followed our lead these places are much better off with daily ship visits. I for one cannot wait to visit Grand Turk and thanks again Giora for allowing us a look behind the scenes. OH………………by the way……………please can we get Grand Cayman to build a pier………. 8 ships…………………all tendering………………………surely with all that money on the island they can afford a drop or two of concrete?…………………..By the way, this is one of those times the disclaimer at the side of this blog comes into play. …………..although I have an idea I may get some support on this from a few people who have had fun tendering into George Town. I see the building of the new pier in St. Martin or St Maarten is now underway. It’s another favorite of mine. I love the Dutch side where the people are warm, friendly and welcoming. Then there is the French side where the people are …………..well ………………. French. I am kidding of course. The French side is stunning and the beaches there are some of the finest in the Eastern Caribbean and it is exciting that we are investing in the future of this fine port of call. Pierre and his friends are still using my head as a party venue and I have Campbell’s pea soup coming out of my nose so I am off back to bed. Last night I took two Nyquil yablets and boy did they make me dream! It was one of those fever dreams and I awoke full sweating as though I had run a marathon, gone 12 rounds with Mike Tyson and then had a sauna while wearing a fur coat. I do not remember much about the dream except…………and this is true I promise………………I was on a beach………….with George Hamilton. I asked him how he got so many women……………he told me he put a baked potato down his Speedos. He then pulled out a potato which had been grown in a bed of steroids which he said he had got from a top restaurant in Miami………………..I told you, this was one weird dream …………………..anyway, there we were walking along a beach, huge potatoes down our Speedos without a care in the world……………it was then that the fever must have started because I spent what felt like hours of the recurring nightmare of George and I being chased along the beach by Stelios, the past owner of Easy Jet, the President of Royal Caribbean and a gang of ugly, smelly men all wearing berets, with strings of onions and garlic around their necks. I am taking two more tablets tonight and I will let you know what happens to George the potato and I…………..tomorrow.